By clicking on the above email address or clicking submit on the form above, you have chosen to contact an attorney with Geraghty Bonnano, LLC. This Web site presents general information about Geraghty & Bonnano, LLC and is not intended as legal advice nor should you consider it as such. You should not act upon this information without seeking professional counsel. 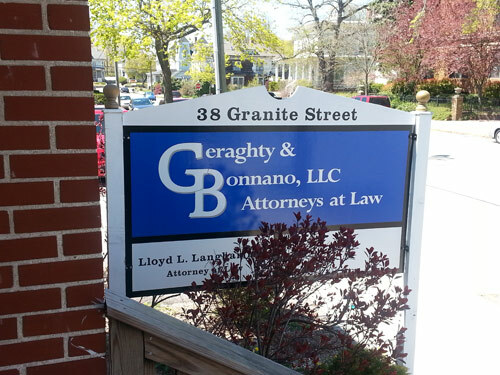 Please keep in mind that merely contacting Geraghty & Bonnano, LLC will not establish an attorney-client relationship. Geraghty & Bonnano, LLC cannot represent you until the firm knows there would not be a conflict of interest, and the firm determines that it is otherwise able to accept the engagement. Accordingly, please do not send Geraghty & Bonnano, LLC any information or documents until a formal attorney-client relationship has been established through an interview with an attorney and you get authorization in the form of an engagement letter from Geraghty & Bonnano, LLC. Any information or documents sent prior to your receipt of an engagement letter cannot be treated as confidences, secrets or protected information of any nature.